Seattle - best known for grunge music (remember Nirvana and Sound Garden? ), Starbucks coffee, Amazon, and Microsoft. But did you know Seattle is leading the nation in the alcohol-free movement? And by "leading the nation" I mean - we're doing a GREAT job of creating products and environments that support the alcohol-free community:) If this were a race I'd like to believe that Seattle would be winning. 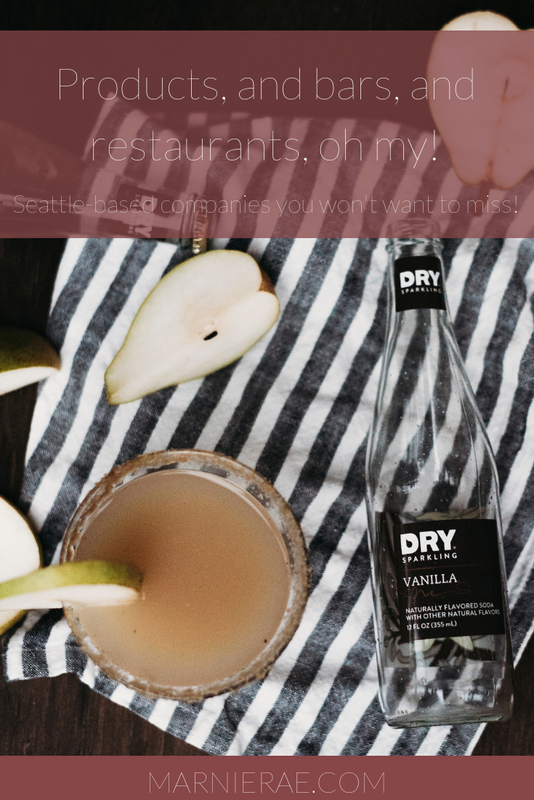 Simple Syrups that are literally straight from farm to glass and the BEST flavors that you've never had - Rhubarb Vanilla, Huckelberry Spruce, and Marionberry Mint. Crafted by two sisters, Belinda and Venise, your going to love their syrups but be sure to follow them on IG for some amazing af recipes. Brewed in Seattle using local farm products and no preservatives, Rachel's is a fixture downtown and in local markets. You'll recognize their bright RGB bottles and great flavors like Blood Orange, White Peach, and Passionfruit + Vanilla just to name a few. A spicy ginger beer literally so fresh that you need to drink it up - this GB won't survive for months in your pantry. All the more reason for a nightly af cocktail hour to sample the goodness! A Tonic Syrup crafted in our beautiful city of Seattle and a new spin on the old tonic. Made in small batches by hand, this amber colored flavorful tonic is sure to get your af cocktail juices flowing. If you have a Marnie Raeted recommendation please send it my way so we can get them listed.